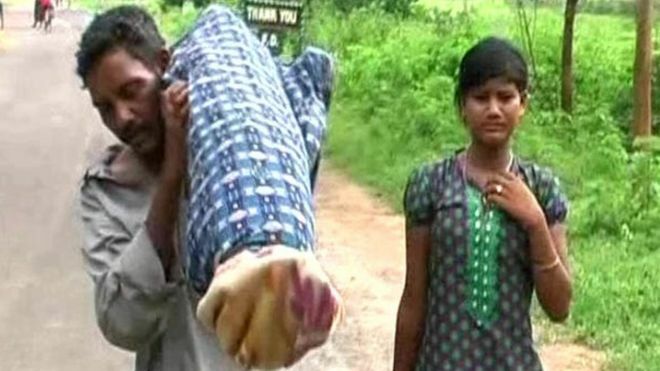 An impoverished man in India carried his wife’s body for 12km after the hospital where she died allegedly failed to provide an ambulance to carry the body back to their village. Dana Majhi’s wife Amang, 42, died from tuberculosis in the district hospital in Bhawanipatna town in Orissa state. 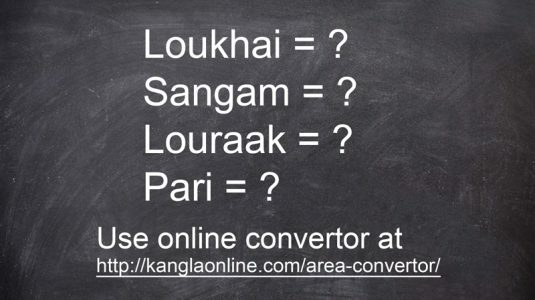 Mr Majhi said his village was 60km (37 miles) away and he couldn’t afford to hire a vehicle. The hospital authorities have denied his charge. “The woman was admitted to the hospital on Tuesday and died the same night. Her husband took away her body without informing any hospital staff,” senior medical official B Brahma said. Mr Majhi, however, alleged that his wife died on Tuesday night and that he began walking with her body on Wednesday after the hospital staff kept asking him to remove the body. “I kept pleading with the hospital staff to provide a vehicle to carry my wife’s body, but to no avail. Since I am a poor man and could not hire a private vehicle, I had no choice but to carry her body on my shoulder,” he said. Early on Wednesday, he said, he wrapped up the body in cloth and began the long trek to his village in Melghar for the last rites, accompanied by his 12-year-old daughter Chaula. He had walked for about 12km when some people on the way intervened and an ambulance finally arrived. The cremation took place on Wednesday evening. The district collector for Kalahandi (where Bhawanipatna town is located) Brunda D said she arranged a vehicle to transport Amang’s body as soon as she came to know about it. “I have asked the local officials to provide 2,000 rupees ($30; £22) to the family under the Harischandra Yojana [a government scheme which entitles poor people the amount to cremate a family member]. Besides, the family would also get 10,000 rupees from the Red Cross,” she said. In February, the state government had announced a scheme to ensure that a mortuary vehicle was available to carry the bodies of the poor from the hospital to their homes. But in a telling commentary on the state of the healthcare services in Orissa, at least half a dozen cases of bodies being transported on bicycles, trolley rickshaws and even wooden cots have been reported from remote areas in the past few months. After reports of Mr Majhi’s ordeal emerged, Chief Minister Naveen Patnaik formally launched the scheme on Thursday.